Held under the patronage of His Highness Sheikh Dr. Sultan bin Mohamad Al Qasimi, Supreme Council Member and Ruler of Sharjah, Sharjah Economic Development Department “SEDD”, with a strategic support from the Ministry of Economy and Abu Dhabi Economic Development Department, launches the fifth session of UAE Economic Planning Forum Tuesday 20th of November 2018, under the slogan “Future Economy Accelerators… Knowledge… Innovation.. and Developing Human Cadres”. The two-day Forum that is held in Al Jawaher Reception and Convention Centre includes four sessions and was attended by His Excellency Sultan Abdullah bin Hadda Al Suwaidi, SEDD Chairman, and number of chairmen and officials from various local and federal entities. 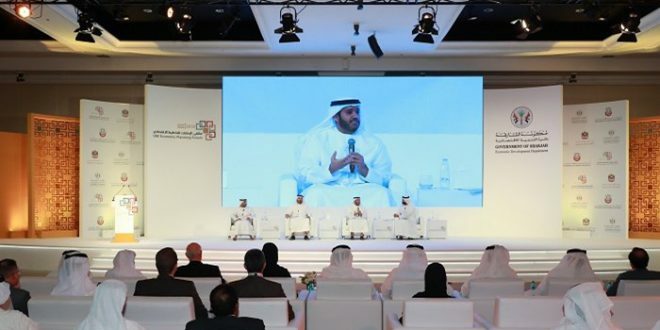 The forum discusses the main new economic changes and implications, means to exchange of experiences and initiatives, ways to boost economic growth and the elements helping to enhance the country’s competitiveness to attain UAE’s 2021 national agenda’s objectives. The Forum began with the first session that discussed the achievements towards the vision of the UAE 2021 and was presented by participated by Noura Mohammed Almarzouqi, Assistant Undersecretary of Policies and Strategy at the Ministry of Human Resources & Emiratisation, and Mansour Mohammed Al Marzouqi, Director of Government Strategies at Abu Dhabi Smart Solutions and Services Authority. 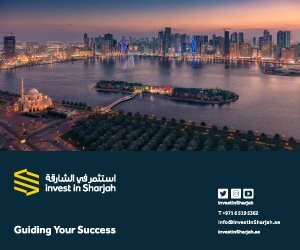 Also, it includes the contribution of Hind Al Youha, Director of the Investment Department at the Ministry of Economy, and Hind Al Shamsi, Researcher at Competitiveness Strategies Department in the Federal Competitiveness and Statistics Authority. From her side, Noura Almarzouqi stated that AE government and its national agenda aims at raising the Emiratisation rate in the public and private sectors, noting that the ministry has implemented the open recruitment days through four stages. The first stage includes vocational guidance through group counseling workshops, in which researchers are made aware of the importance of the sectors and jobs offered, as well as open days to get to know more about the participants through interviews. The second stage includes provision of training sessions that will help in improving skills of interviewing and employment successfully. Then, the third stage includes the registration process through which a smart system is provided to ease the process of finding jobs by ID. Finally, the fourth stage carries the process of interviewing and employing the suitable cadres after obtaining the initial approval. On the other hand, Mansour Mohammed Al Marzouqi discussed the topics related to the role of governmental services in facilitating business sector. This speech aimed to support and develop services in Abu Dhabi and strive to provide better government services. He noted that their vision is to provide a single government platform that enriches the experience of the clients. Then, Hind Al Youha gave a presentation about the economic dimensions in 2021’s national agendas. 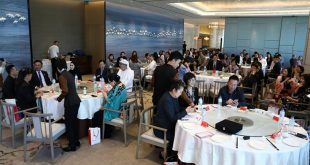 She said that the development of a competitive and innovative knowledge-based economy is one of the most important pillars of the national agenda, which aims to make the country one of the best countries in the world in the field of entrepreneurship by encouraging small and medium enterprises in the private sector. For her part, Hind Al Shamsi spoke about the importance of local and international government partnerships to achieve the country’s competitiveness and future objectives. She added that they are working to monitor and enhance its performance in the country in a number of competitive reports. In addition, the second session discussed the future economic accelerators in UAE, which argues strategies of government accelerators in applying intellectual property. 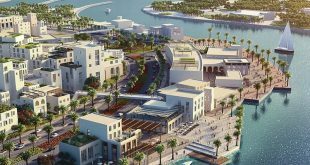 From his side, Saeed Al Falasi said that this initiative aims to cooperate with government agencies and private companies to provide quality services to the public. He added that it also aims to engage in several dialogues with the departments to meet the challenges facing them. On the other hand, Major General Dr. Abdul Quddus Abdul Razak Al Obaidly presented through his speech related to strategies for government accelerators in the application of intellectual property that achieving the highest levels of government accelerator strategies depends on four stages. He carried on that such four stages which are he empowerment, access, protection and utilization of intellectual property help in creating an environment that supports intellectual property where individuals and society can benefit from it in terms of profitability. After that, Ohoud Ali Shuhail stated that digital economy is dependent on technology to deliver economic activities. 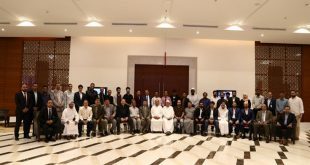 She added that the strategic objectives of Ajman’s digital government depend on the digital transformation of all common government services by the end of 2021, the digital transformation of 100 automated services by the end of 2018, in addition to raising the financial efficiency of government services by at least 20% by the end of 2021. Later on, Salem Abdullah bin Shabib poke about the role of “Takamu”l in supporting the innovation and patents platform in UAE. He illustrated that such program aims to provide support for inventors and instill a culture of innovation in the UAE, as well as provide a specialized support program for all stages of innovation from the inception of ideas to their application to commercial products and services. During his speech, Mohammed Al Khamis presented a topic about running business in 15 minutes which identified means to reach a global economic player within the major economic countries, stressing that challenges are opportunities for inspiration and creativity.